In this Ferris Wheel episode, I speak with Peter Merholz, the co-founder of Adaptive Path. 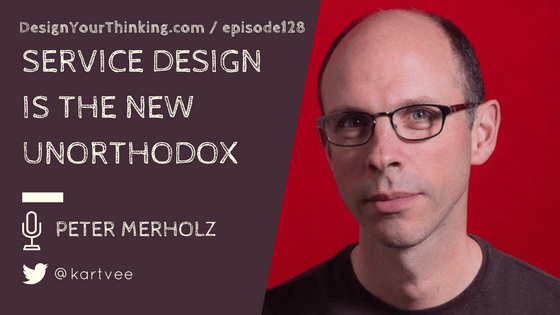 I deconstruct his thinking on user centered vs service design, get him to share his biggest learnings and more. What is unorthodox design and how it’s changed over the years? How the design is practiced at the organizational level. Who have influenced our guest in his formative years and why he thinks the way he thinks. What you will learn – User Centered Design, Learnings and more! Could you quickly talk about yourself and how it all started a couple of decades ago? Who in your mind are the most unorthodox designers? Why? What do you think of them? Who you think are the most impressive, lesser-known teachers in the product design space? What makes you different from other designers in the product design space? To be continued in Episode129. Previous Post Busy Creating Inside a Secret Room In Your Basement? Here Are 3 Tips.. Next Post How Design Leadership Is Creating Organizations of the Future?